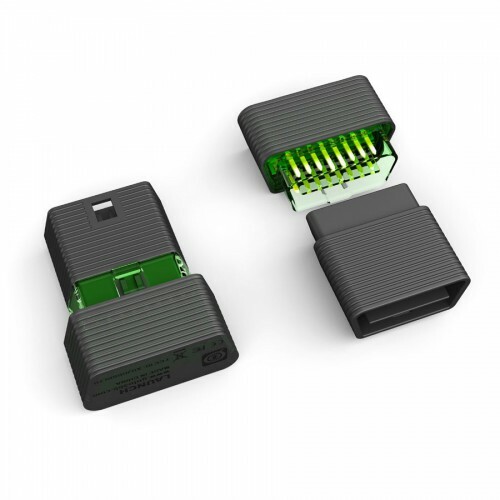 M-Diag is an easy to use OBDII diagnostic tool designed with the professional technician in mind. 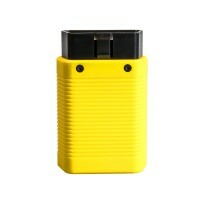 The device is small and portable, yet powerful enough to rival its competitors. 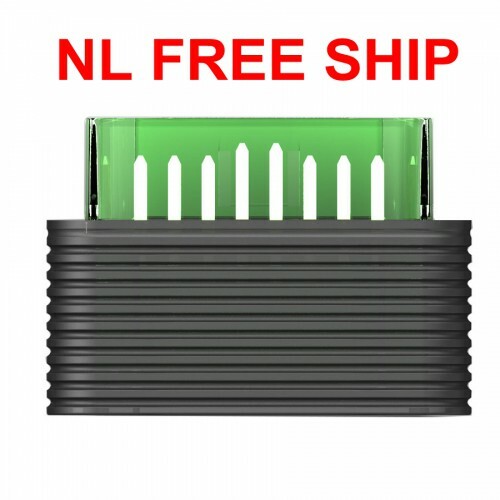 Users have the option to purchase manufacturer specific carline software based on their needs. 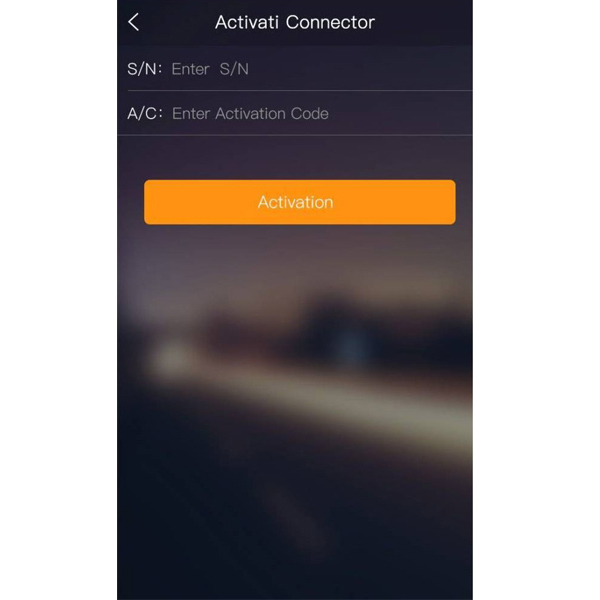 This feature allows for full-system diagnostics including bi-directional capabilities, quickly and easily from the convenience of your smart phone. Note: This tool is out of stock now, you can buy the Launch easydiag 3.0 Plus to instead. 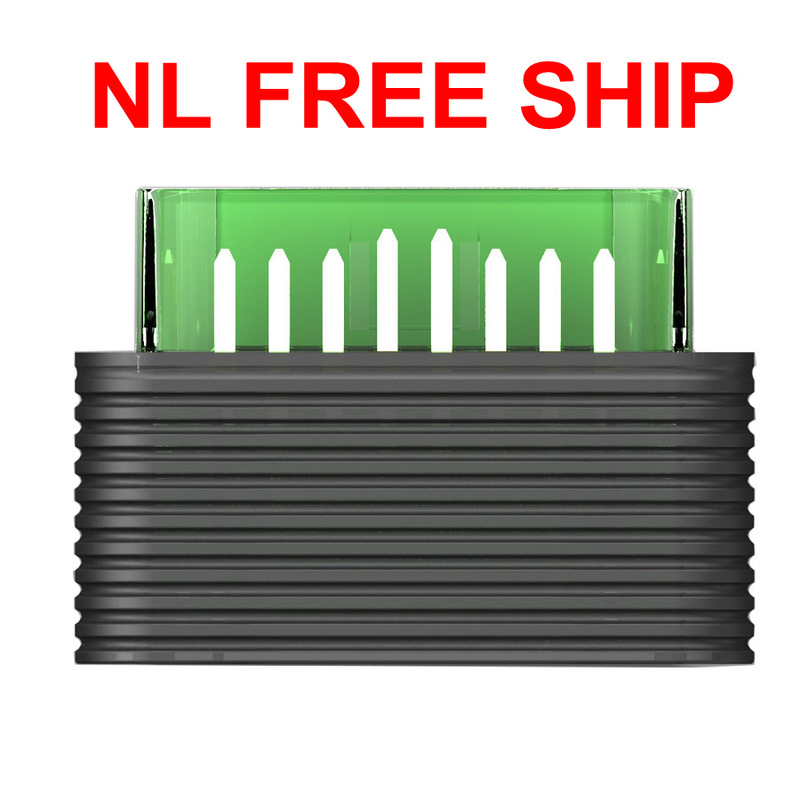 Launch X431 iDiag Auto Diag scanner will not come with software in the package, only hardware. But we will offer you Launch X431 register name & password. Support multiple special function software and actuation tests. 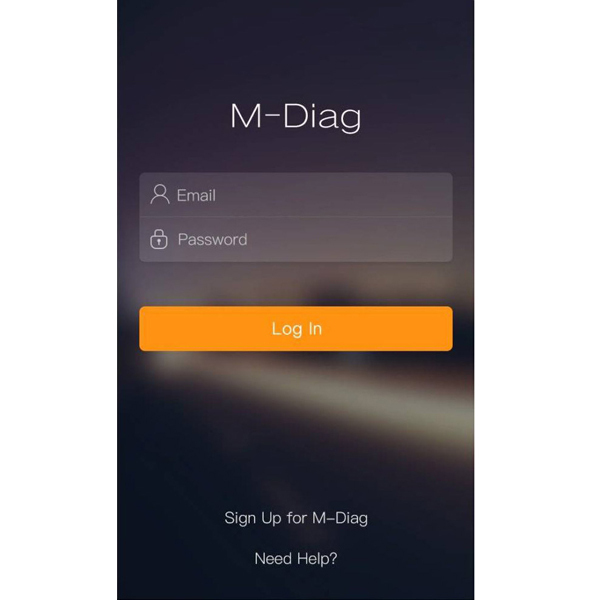 1.M-Diag App available on the Apple App Store and Google Play Store. Due to the system restraints of Apple iOS, a new App will be required to install on the first time to open the diagnostic software. 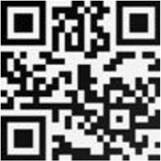 Please use the M-Diag App to perform vehicle diagnosis. This device complies with part15 of the FCC Rules. Operation is subject to the following two conditions: (1) This device may not cause harmful interference, and (2) this device must accept any interference received, including interference that may cause undesired operation. Any Changes or modifications not expressly approved by the party responsible for compliance could void the user's authority to operate the equipment. 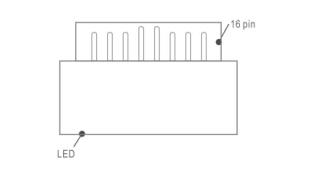 - Connect the equipment into an outlet on a circuit different from that to which the receiver is connected. -Consult the dealer or an experienced radio/TV technician for help. Enter the S/N and A/C (Activation Code) in the password envelope to active the M-Diag device. Step 2:Plug the M-Diag into the OBDll port of the vehicle and the LED indicator will light up to show the operating status. 2. 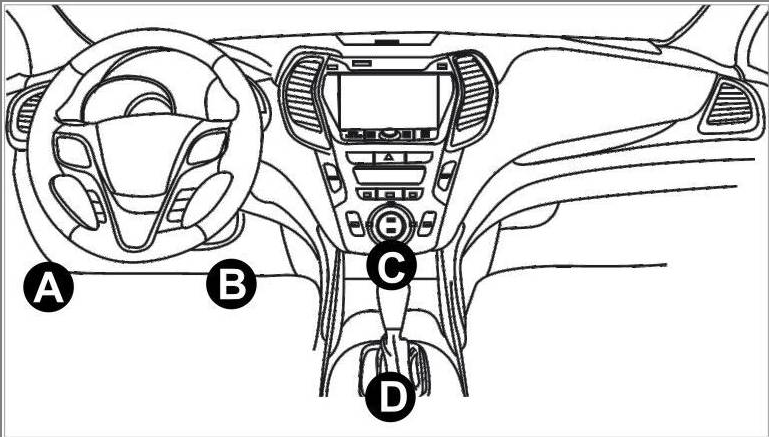 Turn off the ignition before plugging or unplugging the M-Diag device. Ste 1: Tap on "Purchase more carline software" to enter the car line software list. 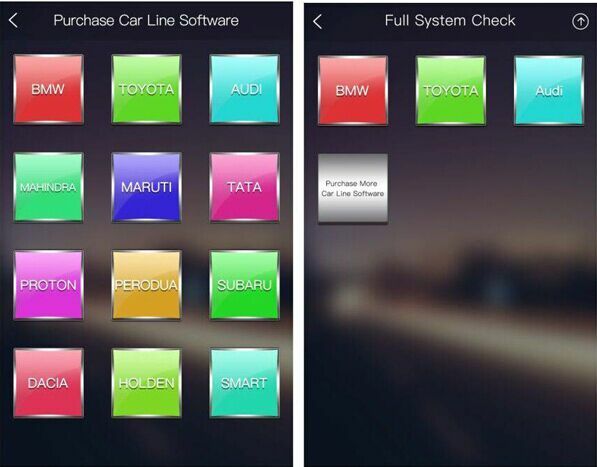 Ste 2: Select the carline software, tap on the vehicle icons to see more carline software details. Step 3: Tap on "Purchase" to enter the purchase confirmation page. Ste 4: Tap on "Pay" and follow the instructions to complete payment. Ste 5: Enter the carline software download page after payment complete. 10. 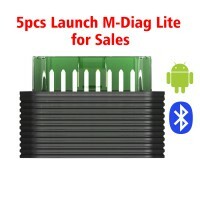 M-Diag Lite has no area limitation, the available language including Chinese Simple, English, French, Spanish, Russian and Chinese Traditional. The user is allowed to change the language of APP and download the models. Kindly notice, don’t download all languages or it will take up the capacity of your phones or tablets. It must be non-artificial damage. If the user does not want to return the adapter, just buy a new adapter and choose the function of adapter switch in the software, and then follow the prompts to use the new adapter. 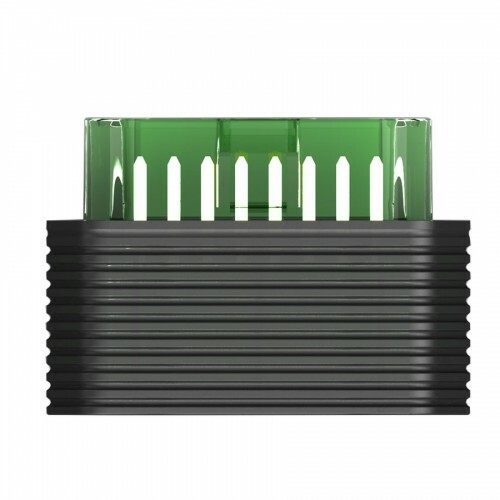 The old adapter will be useless automatically and the model software user bought should be the same. 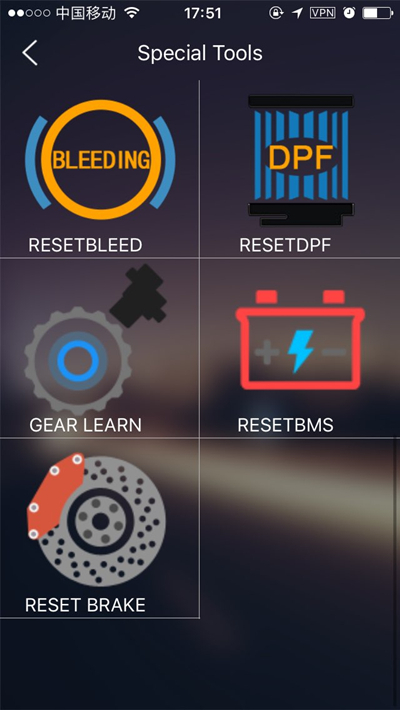 That is a special function like oil reset after users go to BMW software. For example, users go to BMW software, there must be lots of functions incl. Special Functions. 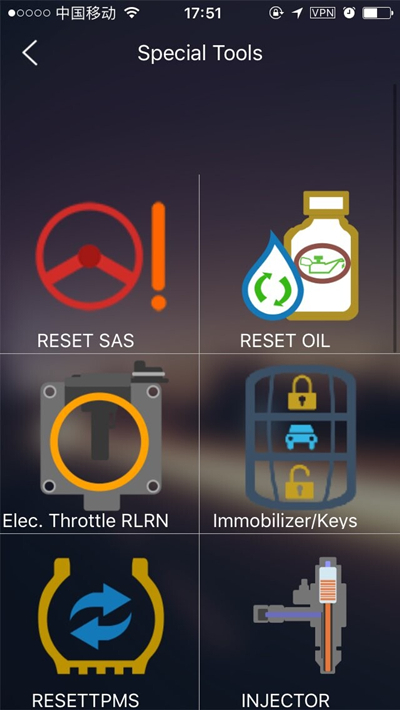 Then, they can select oil reset for the BMW model.